Smithsonian Libraries Director Dr. Nancy E. Gwinn has been awarded the District of Columbia Library Association’s Ainsworth Rand Spofford President’s Award 2012. This award, named for the first president of DCLA and former Librarian of Congress, recognizes outstanding contributions to the development or improvement of library and information services. Gwinn joined the Smithsonian in 1984 as the Libraries’ Assistant Director for Collections Management. Her career includes positions at the Library of Congress, the Council on Library Resources, and the Research Libraries Group. At the Smithsonian, Gwinn’s achievements include launching the Libraries’ exhibition program, creating the new web site Galaxy of Knowledge, expanding the Libraries rare book and electronic collections, and creating the first Libraries Advisory Board and the Spencer Baird Society to assist with an aggressive fundraising program. During her tenure, the Libraries initiated and became the lead partner in establishing the Biodiversity Heritage Library (BHL) and creating the program’s secretariat. 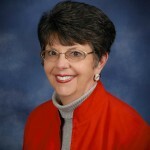 Gwinn served as a member of the Governing Board of the International Federation of Library Associations and Institutions (IFLA) and Chair of its Professional Committee, which has oversight of IFLA’s professional program. She was the IFLA representative to the international LAMMS (Libraries, Archives, Museums, Monuments and Sites) committee, which explores international collaboration. 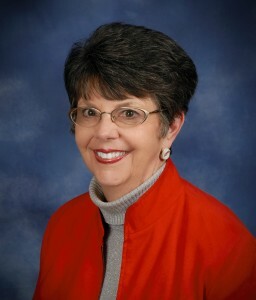 In 2008, Gwinn was elected to the Research Libraries Group (RLG) Partnership Council, which oversees the work of RLG Programs, a global partnership of research libraries, archives, museums, and other cultural memory institutions working to enhance their ability to support research in all its forms. She is also a member of the Board of Trustees of Cottey College in Nevada, Mo. Most recently, Gwinn was elected chair of the BHL Steering Committee for a two-year term at its annual meeting in Cambridge, Mass. on March 16. In this position, Gwinn willguide the Committee as it oversees the continuing expansion and development of the digital collection, which now numbers over 100,000 volumes and nearly 40 million pages of biodiversity-related publications.